Metro Detroit's golf offerings are abundant and memorable. With courses such as Shepherd's Hollow Golf Club, TPC Michigan and the Orchards Golf Club, the Detroit area is a must-stop for golf vacations. North of Detroit, Shepherd's Hollow Golf Club feels like northern Michigan. Michigan's auto industry may be finally turning the corner after a few dismal years in the red, but metro Detroit's golf offerings have rivaled the offerings of any city. The abundance of golf courses in Oakland, Wayne and Macomb county is downright laughable, which helps lead to some tremendous value and choice for local players. The golf is a real steal compared to neighboring Chicago; so if you're in town on business or visiting family, be sure to bring your clubs. Here is a small sampling of the top standout golf courses in Detroit and the surrounding areas. Set on 350 acres of beautiful and remote Jesuit-owned land north of Detroit in Clarkston, 27-hole Shepherd's Hollow Golf Club feels like a secluded, northern Michigan course hours away from downtown. Tall pines line most holes, and the course is complete with elevated tee boxes and greens. An Arthur Hills design, the golf course appears far more minimalist than some of his earlier Michigan designs, with fairways rolling along with the land (yielding few flat lies) and green complexes, which are large and naturally moving, blend into their sites especially well. Near the northern suburb of Rochester, the Orchards Golf Club is the area's bona fide championship test with tour-ready practice facilities. It plays host to regional U.S. Open qualifiers, hosted the U.S. Amateur Public Links Championship in 2002 and is kept in prime shape daily. The Robert Trent Jones Jr. design winds through wetlands and forest on more than 500 acres, and from the elevated first tee you can even see the Detroit skyline in the distance. The TPC Michigan is a former host to the Ford Senior Tour Championship through 2006 and is quintessential mid-'80s Nicklaus design. While it's plenty tough, especially around the greens, it's far more scenic and natural than you'd expect from a metro-Detroit course and is Michigan's first Audubon-certified Sanctuary course. Though technically a private club, there are numerous ways for non-members to play Michigan's only TPC course in the shadows of the Ford World Headquarters in Dearborn. The easiest is through a golf package available through the Hyatt Regency Dearborn, MGM Grand and Motor City Casino (spots are limited, so they generally go unadvertised). Designed by one of Michigan's most prolific architects, Jerry Matthews, the 27-hole Majestic at Lake Walden is spread out on more than 1,400 acres wrapping around Lake Walden. The longest combination plays more than 7,000 yards, making for a scenic but tough championship test. The club also recently added a new fleet of golf carts equipped with GPS. 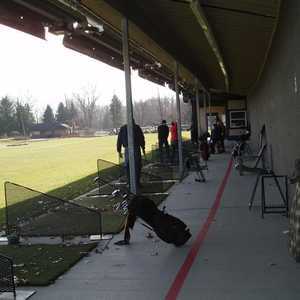 The Inn at St. John's and Northville Hills Golf Club come in at a tie for the fifth spot, because they're right across the street from each other and offer two different types of golf experiences. The beauty of the new Inn at St. John's is that it's metro Detroit's only real golf resort, featuring 27 classically designed holes built around a seminary and through woods. The three nine-hole loops play between 2,800-3,300 yards. On site is the golf superstore Carl's Golfland, as well as a driving range, so virtually everything you could ask for is right at your fingertips when you stay at the Inn. If you're craving some longer golf than St. John's, head across the street to Northville Hills. It's a modern Arnold Palmer design in a residential development that has less mystique than historic St. John's but has up to 7,003 yards of length, so you can cut the driver loose. 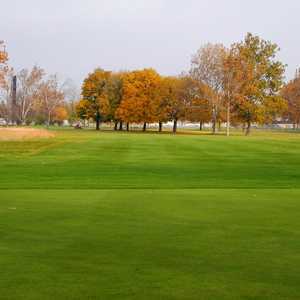 A classic, locally adored golf course is Rackham Golf Course in Huntington Woods just minutes to downtown Detroit. It's a municipal Donald Ross design that dates back to 1923. For more modern golf, check out Moose Ridge Golf Course in South Lyon, a Ray Hearn design that's hilly and dramatic. If you don't have time for a full 18, visit the Strategic Fox at Fox Hills Golf & Banquet Center, a new 18-hole, par-3 course designed by Hearn with holes up to 195 yards and especially good for beginners. 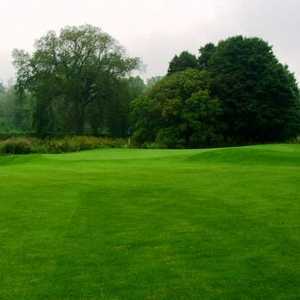 Golden Fox and the Fox Classic are also on site and feature full-length golf courses.